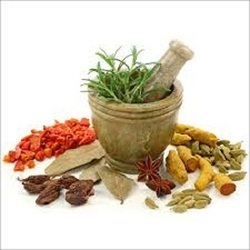 Offering you a complete choice of products which include flower extract, punarnava (boerhavia diffusa) extract, chinese herbal extract, gymnema extract, irish moss extract and chaga mushroom extract. An "herbal extract" is a very concentrated liquid in which a solvent is used to extract the herbal properties out of plant material. The typical solvents used for extracts are alcohol, vinegar, or vegetable glycerin. Herbal extracts are very simple to make and convenient to take. Instead of having to drink a whole cup of tea, you can take a dropperful or 2 of a highly concentrated dose of an herbal extract. Herbal extracts are very convenient for acute situations that require hourly doses. It's easier to take a few droppers of medicine hourly than it is to drink 1/2-1 cup of tea hourly, especially if a person is not feeling well. 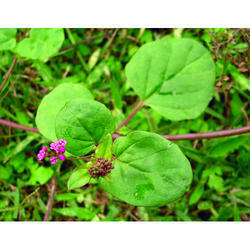 Punarnava is a very important medicinal herb of Ayurveda. Its name is derived from two words, Punar (= once again /regaining/restoring) and Nava (=new, renew or young), so the literal meaning of the name is, one which becomes new or young again. This name signifies the rejuvenating property of Punarnava. 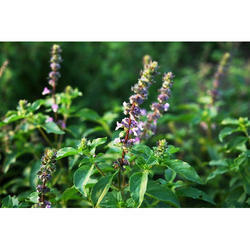 It is a Rasayanherb of Ayurveda which renews the body or restores youth. 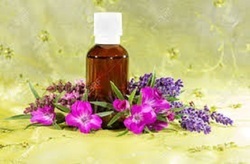 Liquid herbal extracts are excellent options for healing because of their easy assimilation and high concentration of an herbs active constituents. Once a few drops of liquid extract are placed under the tongue, the brain tells the body that it's in there and ready to do its job. This process has been used successfully for administering the benefits of THC for medical purposes. and its health benefits have been contested for decades. Herbal extraction is another step toward the institutionalization of the weed industry. And because it is free from binders and fillers, more of the beneficial properties of the herb gets into the bloodstream. The leaves of Gymnema sylvestre (family: Asclepiadaceae) is used in making of the extract Gymnemagenin, the main sapogenin in the leaves, yields gymnemic acids which is a chemically complex mixture of saponins and gurmarin, a polypeptide of 35 amino acids Gymnemic acids are anti-sweet principles that shows inhibitory effect on plasma glucose. The extract of dried leaves, given to diabetic rats, was found to bring about blood glucose homoeostasis by increasing serum insulin levels. The leaf extract when orally administered to experimentally induced hyperlipidaemic rats reduced the elevated serum triglyceride and total cholesterol in a dose-dependent manner A blood sugar lowering effect in both normal and diabetic subjects has also been reported with the use of Gymnema sylvestre extract. For centuries Traditional Chinese Medicine practitioners have used Chaga Mushroom for general health, longevity, beauty, and as a remedy for the most serious health conditions. In Asian culture, the Chaga Mushroom is referred to as the 'Mushroom of Immortality' used to support a healthy immune system response, supporting a healthy detox response while also supporting a healthy nervous system. Raw Chaga Mushroom is a wonderful source of Melanin supporting youthful looks and vibrant skin. The Chaga Mushroom is known for its wonderful antioxidant properties and supporting a healthy inflammation response. Today, the Chaga Mushroom is commonly used to support general health. Chaga Mushroom contains large amounts of phytonutrients and immune supporting compounds such as Beta Glycans and polysaccharides which may support the body's ability to set up cellular defenses. It has even been said that the Chaga Mushroom can balance metabolism and one's chi or vital energy levels. The Chaga Mushroom is native to Western Siberia, Canada and USA and typically grows on the trunks of birch trees. 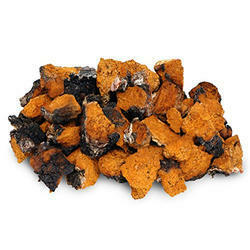 Unlike other mushrooms with gills or caps, the Chaga has pores and is irregularly formed looking much like a burnt piece of charcoal. The Chaga is a parasitic mushroom that feeds on the white part of birch tree bark where the immune supporting substances are formed. This white part of the birch bark is also where the Chaga Mushroom obtains the powerful betulinic acid which may support the body’s fight of abnormal and uncontrolled cell division. Cherries are typically classified as either sweet or tart. The Tart Cherry is closely related to the sweet cherry but, has a fruit that is more acidic and higher in nutritional benefits. Generally, tart cherries have been found to have higher concentrations of phenolics and anthocyanins than sweet cherries. Prickly pear cactus (Opuntia ficus-indica), is an edible cactus plant that grows in the arid and semi-arid regions of the world. 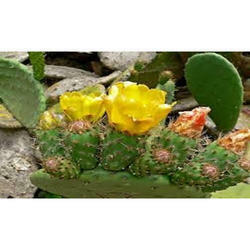 English names for the plant and its fruit are Indian fig opuntia, barbary fig, cactus pear, spineless cactus, and prickly pear, although this last name has also been applied to other less common Opuntia species. The plant is anti-bacterial, anti-inflammatory, astringent, alternative, antipyretic, antiperiodic, anti-septic, anti-cancer, bitter, cholagogue, diaphoretic, emmenagogue, laxative, stomachic and sweat-inducing. 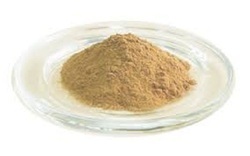 It is mainly used in eye diseases, haemorrhoids, amenorrhoea, leucorrhoea, piles, sores, peptic ulcers, dysentery, heartburn, indigestion, hepatitis, intermittent fever, and chronic ophthalmia. An infusion of root is useful in treatment of malaria, skin diseases, diarrhea and jaundice. A decoction is used as mouthwash for treating swollen gums and toothache. 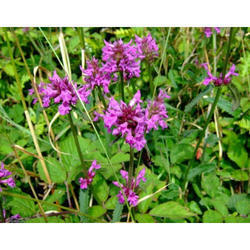 It is also used to treat infections, eczema, parasites, psoriasis, and vaginitis. Roots are hypoglycemic, antiinflammatory and stimulate the cardiovascular system. Root bark is anticoagulant and hypotensive in nature. 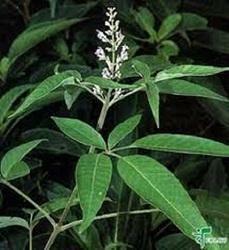 Nirgundi or Five-Leaved Chaste Tree (Vitex negundo) is evergreen medicinal deciduous shrub. It is native to India and also found growing in Bangladesh, China, Philippines, Sri Lanka, and Japan. 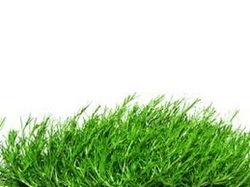 It is usually grown as a fencing for agriculture lands as well as house. The leaves are used as biopesticide and insecticide. The leaves are dried and kept with woolen clothes to repel insects. The smoke from the leaves is used as mosquitorepellent. Fennel is an aromatic herb belonging to the parsley family. 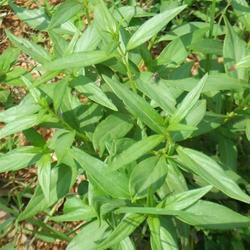 It is used as a spice and possesses a sweet taste that is similar to anise. It is an essential ingredient in the Mediterranean cuisine. It is native to the South European region but is consumed well in all of the European regions. It is a two-meter plant with dark green leaves and yellow flowers. 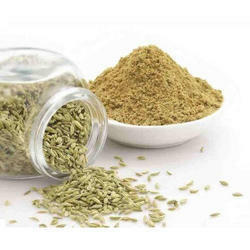 Fennel seeds are not only tasty but are also very healthy owing to their nutritional content. Fennel bulb is also eaten as a vegetable in some parts of the Mediterranean region. Ocimum tenuiflorum, commonly known as holy basil, tulasi or tulsi, is an aromatic perennial plant in the family Lamiaceae which is native to the Indian subcontinent and widespread as a cultivated plant throughout the Southeast Asian tropics. An "herbal extract" is a very concentrated liquid in which a solvent is used to extract the herbal properties out of plant material. The typical solvents used for extracts are alcohol, vinegar, or vegetable glycerin. Cha de bugre is brewed in large drums during festivals in Brazil and the people consume it to sustain their energy through the night. Cha de bugre is a very clean energy, the caffeine levels are surprisingly low, yet the effects at a 500mg dose was the same as ""2 Venti Starbucks."" It is known to contain naturally occurring caffeine, potassium, allantoin and allantoic acid. Allantoin and allantoic acid may explain the traditional use for wound healing. They are reported to help support healthy body fat levels and preserve muscle tissue. The tea has been used traditionally to support renal function, uric acid levels and use to support the body's ability to heal external wounds. Yumberries have the look of a juicy raspberry and come in 100 different varieties ranging in color from purple and red to pink and white. Their flavor is a cross between a pomegranate and a cranberry, and their texture is something like an orange. Yumberry is a natural source of antioxidants, which give them their color and added health benefits. Yum-berry is a healthy fruit and natural source of antioxidants, vitamins, and minerals; including vitamin C, thiamine, riboflavin and carotene that have been used since ancient times in China for medicinal purposes. 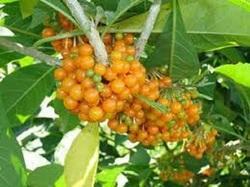 This appetizing super fruit may support the production of saliva secretion, digestive health and dispel summer heat. It will also may support the body's ability to prevent sugars from being converted to fat in the body. Free radicals cause oxidation in the cells which may promote aging and disease. The yumberry is a source of polynutrients and oligomeric proanthocyanidins which may support the body's ability to fight the free radicals. These polynutrients give the fruit their bright red color. The yumberry contains OPC, or Oligomeric Proanthocyanidins, water soluble pigment that may possibly change with the acidity or alkalinity of the cells. This naturally occurring component may support a healthy aging process. Humans cannot produce OPC by themselves, thus it is obtained from fruit and vegetables. OPC also helps to support healthy blood pressure by restricting enzyme activity and is known to protect the cardiovascular system. Free radicals may harden the blood vessels and oxidation of LDL causes atherosclerosis or even cerebral infarction. OPC may possibly repair damaged cells and nourishes those that are in need of care. 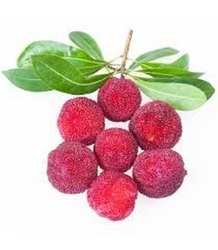 Maqui berries are very rich in anthocyanins, which are purple pigments with very high antioxidant activity. Specifically, maqui berries contain high levels of anthocyanins called delphinidins, which is also found in violas, delphiniums, and Concord grapes. But in maqui berry, these compounds are found in unusually high amounts. The delphinidins demonstrate potent anti-inflammatory activity, so they help to reduce the risk of a variety of degenerative diseases that involve inflammation. These pigments also inhibit the growth of colon cancer cells. Inflammation is part of virtually every degenerative disease, from cardiovascular disease to diabetes to arthritis. Any illness that ends with “itis” is an inflammatory disease. The anthocyanins exhibit powerful anti-inflammatory activity, and do it as well as drugs for the same purposes, without negative effects. The antioxidant compounds in maqui berry help to prevent the oxidation of cholesterol in the blood. Oxidation of cholesterol is a factor in the development of cardiovascular disease, including heart attack, stroke and hardening of the arteries. Regular daily intake of maqui berries or the berry juice is a smart investment in better cardiovascular health. Looking for Ratio Extract ?